As most of you might remember I went on an eight day cruise a couple of weeks ago with my husband and three little guys (7, 5, and 2 years old). It was so much fun and I’ve been itching to share some pictures with you and tell you all about it! 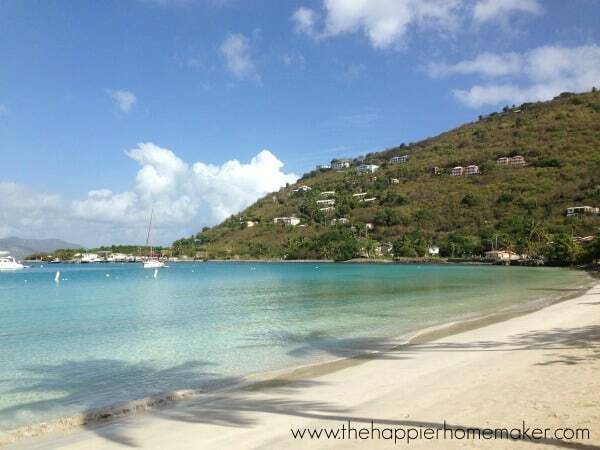 We visited the islands of Grand Turk, St. Thomas, Tortola, and St. Maarten. As I told y’all before I left I was pretty stressed out before we left-our big move was approaching (we’re unpacking the moving truck today!) and you all were sooooo encouraging-thank you!! 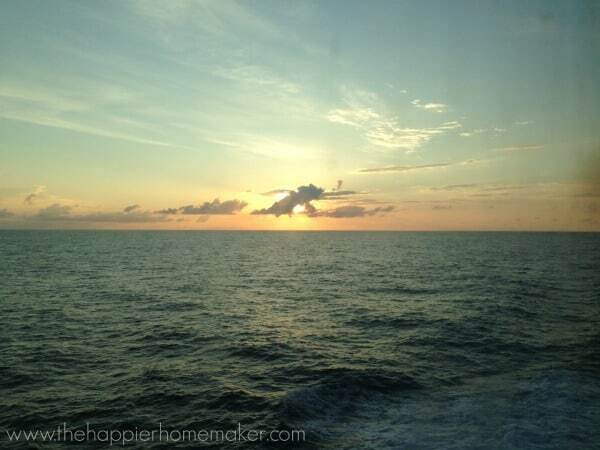 I was determined to have some great family time, some alone time with the husband, and some solo relaxation while we were gone…here’s how we managed to get all of that packed into a tiny cruise ship room with 5 people! We were able to take a couple of days for the drive from North Carolina to Florida where our cruise left which allowed us to stop at my dad’s house in South Carolina on the way and made the ten hour drive south more manageable. We packed plenty of the boy’s favorite snacks for the drive (the ones they usually don’t get so it was a special treat!) and bought the newest season of one of their favorite shows to help fill the drive time. My friend Kristen has some great tips for traveling with kids here too. My husband was stationed in Italy when we started dating and were first married so we traveled quite a bit while in Europe. It took us a while to adjust to the difference between our trips in those days and the realities of vacationing with kids. 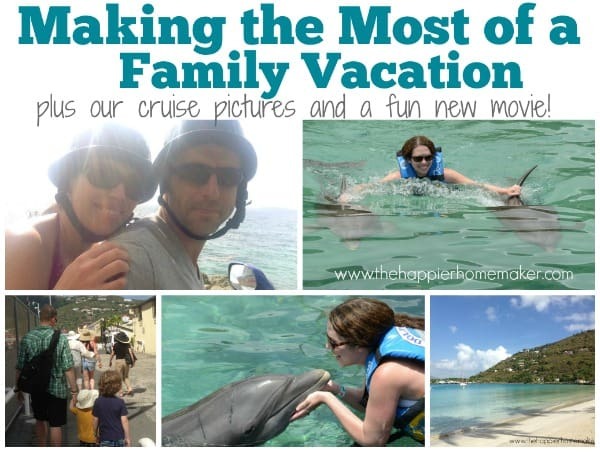 So while family vacations (especially with younger kids) may not be quite as leisurely or relaxing as without kids we knew that when planning our trip and were able to find a cruise that had a super fun kid’s camp to allow for some downtime and keep the kids busy with fun activities. So many times during our trip I found myself getting exasperated or stressed and had to stop, take a breath, and remind myself that it was a vacation. The kid’s routines were off, everyone is crammed in a small room and it’s easy for tempers to get short. Taking the time to remind myself not to sweat the small stuff and loosen up helped immensely with everyone’s enjoyment of the trip! Don’t forget to look for opportunities for fun as well. 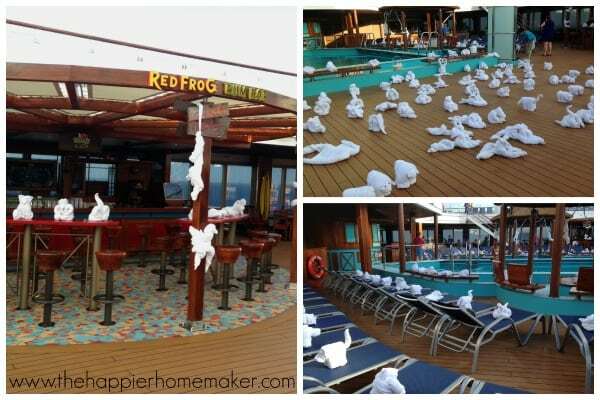 One morning of our cruise we came up to the deck to get some breakfast and found the entire area covered in towel animals-the kids thought it was amazing and we spent a good 45 minutes there just enjoying looking at them all. It wasn’t necessarily our plan for that morning but it was something our boys really enjoyed and will remember. While we had some great family time all together my husband and I took the time to plan individual time with each one of our boys and each other as well. 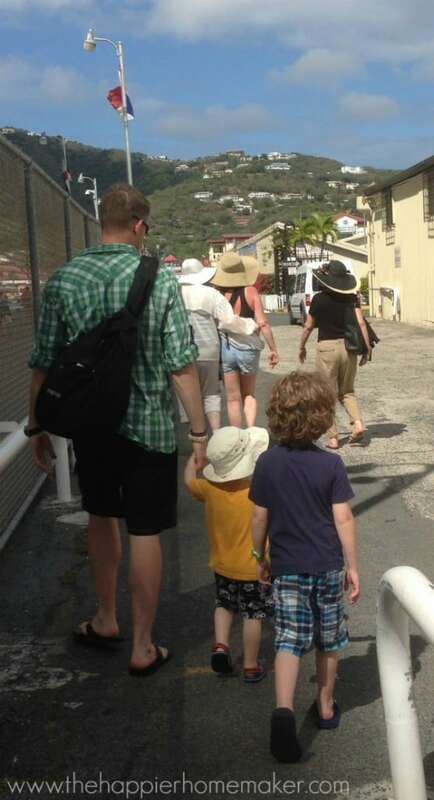 We took my oldest son to swim with dolphins (he was the only one old enough) in Tortola-it was ah-mazing! My middle son is 5 and the sweetest little guy ever and when we asked him what special activity he’d like he replied that he really wanted to go to the “fancy” dinner with us so we took him out for dinner and music on one of the cruise elegant nights and he loved it. And of course the two-year-old got extra cuddle and play time from mom and dad as usual! As for my husband and myself, we were able to enjoy dinners alone most nights (yay!!) thanks to the cruise ship’s kid’s club which is a special treat-eating without getting up five times during the meal is a foreign concept for me! 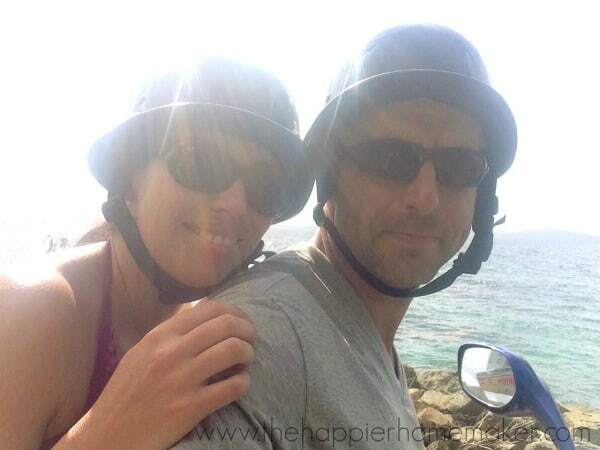 We also took the opportunity to venture off onto Tortola just he and I and rent a scooter to explore the island-definitely, not something we could have done with the entire family! We allowed ourselves some individual time as well-I would sneak off to read a book for an hour and he would get up early to have coffee and watch the sunrise…it was fantastic. The trip was really amazing and everyone had such a good time. 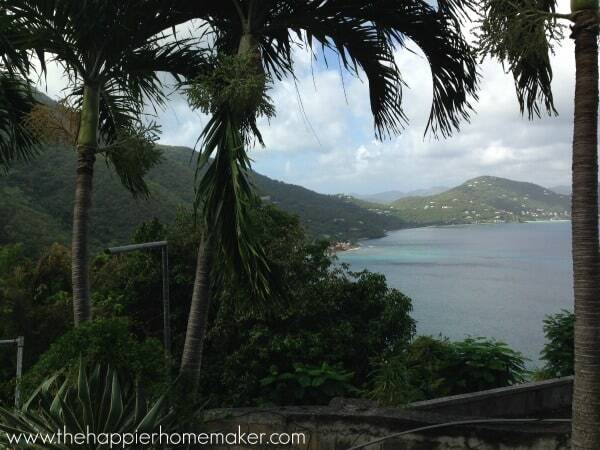 I truly fell in love with the Virgin Islands-it was the most beautiful place I’d ever seen! I’m looking forward to exploring more places with my family as the boys get older and we can try different trips. Thanks Nicole! My hubby and I are explorers by nature so the past 8 years with the three little guys has hampered that. This vacation was our attempt at balancing family time and our desire to explore new places and it worked out pretty well! I look forward to my boys being old enough to take on some more adventurous trips! I’m so jealous that you got to swim with dolphins! I’d love to do that sometime soon! Oh Danielle it was awesome! The entire thing seemed to go by so fast but if you ever have the opportunity it’s totally worth it, I’ll remember it forever! I’m so happy that you enjoyed your vacation but so sad that you swam with dolphins. Please do some research on where they come from and how they are treated. I love your blog and know you are a smart woman. 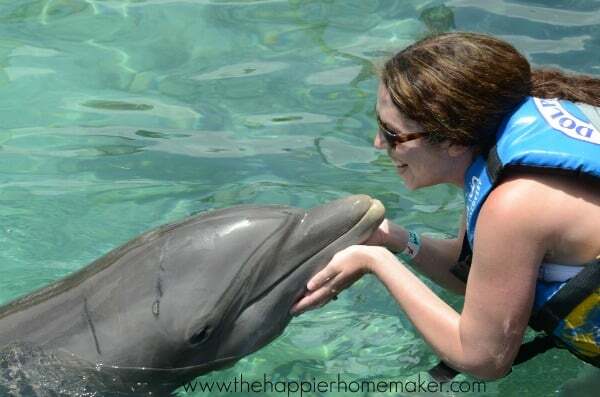 I totally understand Ronda-Lee…I did research before booking our time there (I did not book through the cruise line) and felt comfortable with the company we chose and their focus on education and conservation as well as their treatment and care for the dolphins. My oldest is very interested in the environment and marine mammals and learned a lot from our visit in addition to the swimming time.